In her most personal and provocative book to date, the #1 bestselling master of true crime presents "her long-awaited definitive narrative of the brutal and senseless crimes that haunted the Seattle area for decades" (Publishers Weekly). 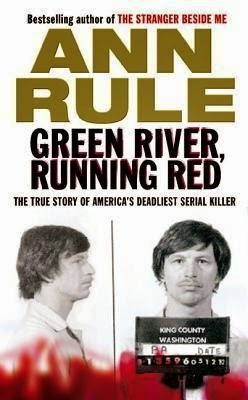 This is the extraordinary true story of the most prolific serial killer the nation had ever seen - a case involving more than forty-nine female victims, two decades of intense investigative work ... and one unrelenting killer who not only attended Ann Rule's book signings but lived less than a mile away from her home. Shew this was a long book to read. I'm not really sure if I thought it was good or not tho. It started out just with victims, which, I guess, is how it starts out when you're investigating. When it did give you snippets of the killer's early life, you still had no idea who he was (and I really didn't because I'd never actually heard of this guy before this), which I liked. But there were so many victims, and they did start to blur together. It would've been nice to have a timeline or something. If they were ever mentioned again, I couldn't really place who was who. Still, it is a hectic, awful story. It's a crazy story. It's a scary story. It wasn't all that long ago, and the guy (Gary Ridgway) is still alive, in prison (thank goodness). And a quick search on google shows they are STILL looking for bodies and he's still trying to get attention for it. I guess it's most scary because he wasn't a stereo-typical serial killer. With below average intelligence he evaded capture for almost 20 years. And was married to a wife who knew nothing and suspected nothing. How frightening is that?